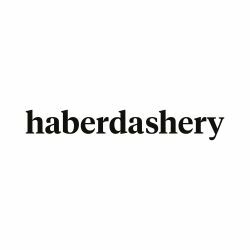 "Haberdashery is an award-winning London based design studio focused on the perpetual appeal of light." We specialize in a poetic approach to lighting. We have a 25+ team qualified in industrial- or product design, engineering, research and product development. We all share a love of light and push ourselves to find new ways to harness it to transform how we perceive space, color and form. Over the past 10+ years, we have circumnavigated the world, delivering more than 450 projects, installing our work in over 30 countries in locations that are diverse, challenging and unique. Haberdashery’s portfolio consists out of three bodies of work: products, sculptures and collectibles. In all three we invite people into the world of haberdashery transforming our familiar surroundings using light as a poetic language of expression.